This is my second post for the day(see my first post here). I come to know about these new plate aditions from Moyou and couldn't wait till tomorrow to post them. So here is the news. Two new plates going to be released on Friday the 13th. Both of these plate will be additions to Suki Plate Collection. There might be 2 more plates to be released beside these two. Both of these plate are full plate stamps like Suki 01. Name of these plates are Suki 07 and Suki 08. So what you say?? I like both of them. 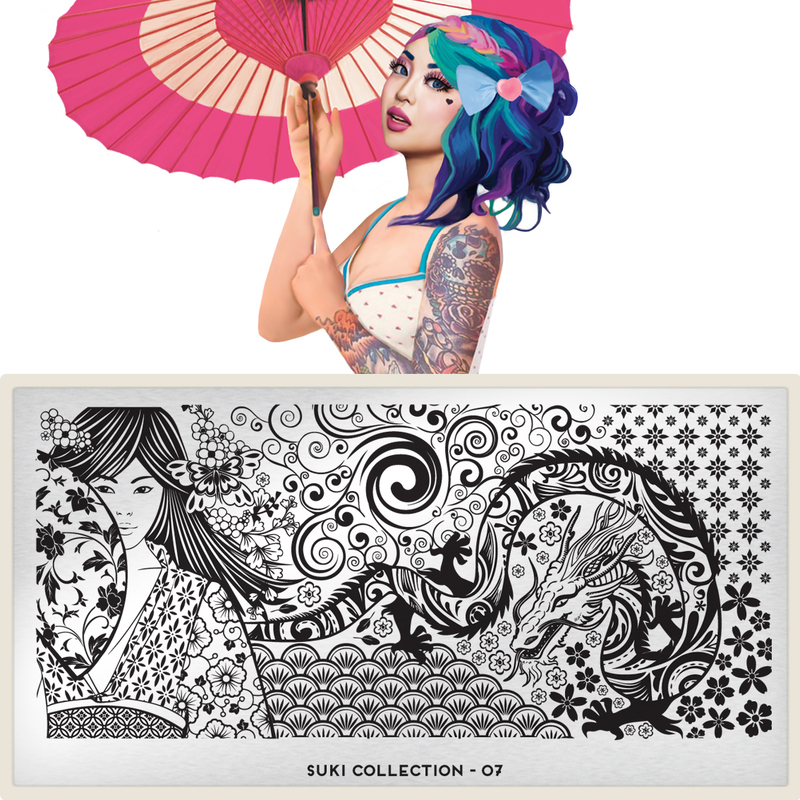 I like the cute girl , dragon , design at center bottom and swirls kinds images in Suki 07 whereas sunrise, top middle part of plate and mountains are gorgeous in Suki 08. Looks like I am gonna get them both. One more new collection coming out next week "Comic Collection". I am already very excited for that collection. Both of these plate will be available from 13th September on Moyou Website. 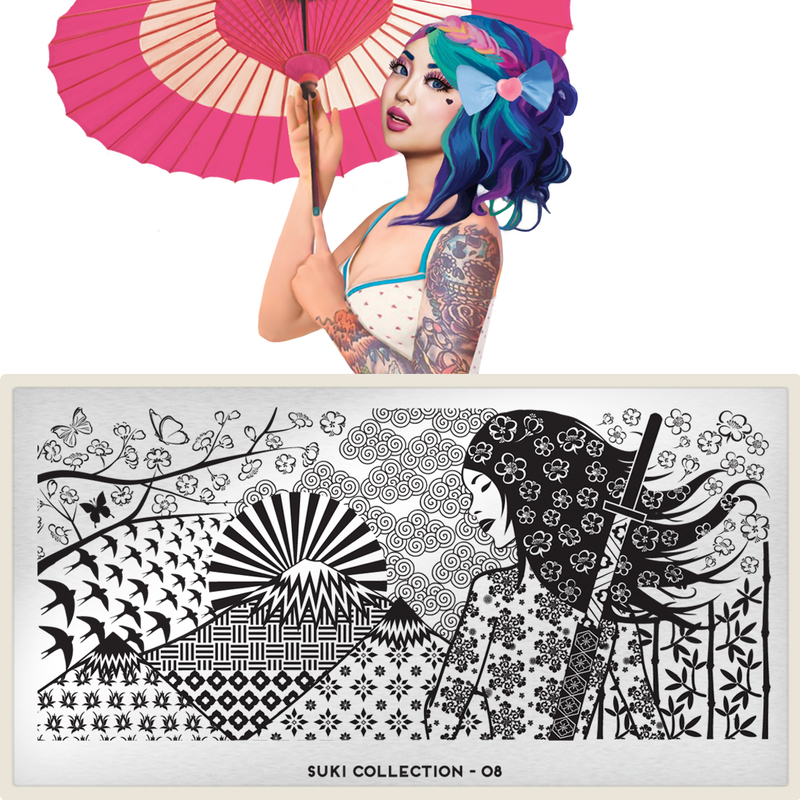 Will you gonna get these two new Suki plates? ?